If you’ve ever misplaced your phone, you know all too well the feeling of panic that experience can induce. 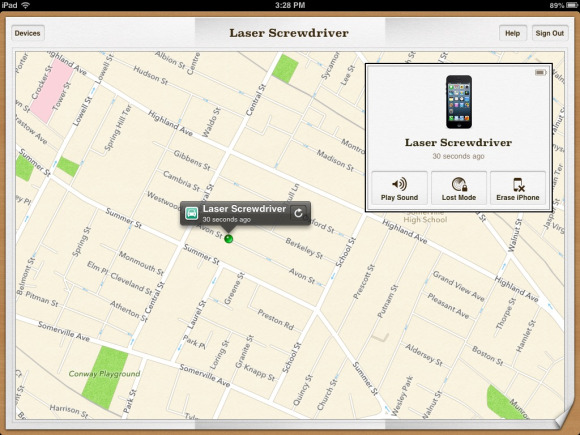 Apple’s Find My iPhone app makes it easy to track down your wayward iOS device or Mac; with the latest update the company’s made it even simpler to get back to your computer, tablet, or smartphone. Thanks to Find My iPhone’s integration with iOS 6’s Maps, you can now plot driving directions right to your device’s location. Just tap the Quick Route button that appears next to the name of your device in the app’s map view, and iOS will launch the Maps app, plugging in the appropriate destination. 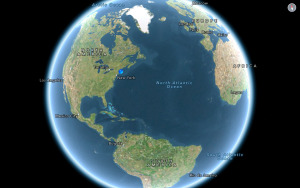 Of course, using iOS 6’s Maps means your direction results might be hit or miss. Apple’s also slightly tweaked the app’s user interface on the iPhone; rather than putting the buttons for Play Sound, Lost Mode, and Erase iPhone on the Map screen, they’re now accessible when you tap on the blue arrow next to your device’s name. While the addition of driving directions may be a helpful one for those who have simply left their phones someplace, I worry a little bit that it may encourage those who have had their phones stolen to track down the perpetrators—a task usually best left to the police.